Dr. Townsend graduated from the University of West Florida in 1972 with a Bachelor of Science degree in Marine Biology. He received a Doctorate of Veterinary Medicine from Auburn University in 1976. 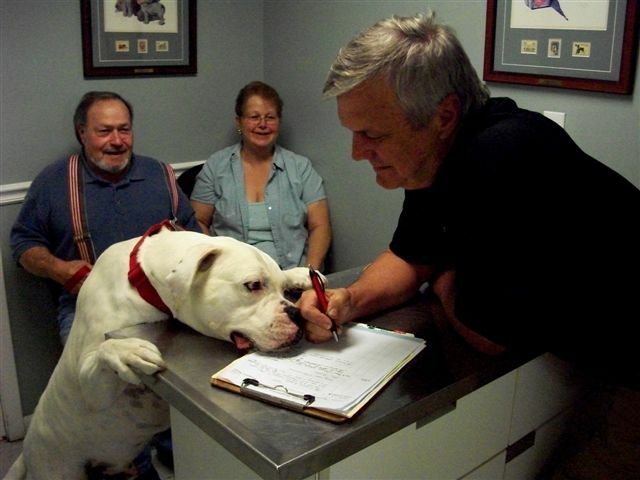 Dr. Townsend has been in private practice since that time, moving to Fort Walton Beach in 1978, and establishing Bayside Hospital for Animals in 1992. He became a diplomat of the American Board of Veterinary Practioners in 1982. Dr. Townsend is an Affiliate Professor in the Department of Clinical Science, Auburn University's School of Veterinary Medicine. His areas of special interests are ophthalmology and surgery. Dr. Townsend has had an active interest in marine mammal veterinary medicine most his career, working with numerous private and government agencies. He has been the staff veterinarian at our local oceanarium, the Ft. Walton Beach Gulfarium since 1978, as well as the staff veterinarian for National Marine Fisheries studies of wild dolphin health. Dr. Townsend has been very active in the Fort Walton Beach community since moving here in 1978. He has held various offices in the Fort Walton Beach Rotary Club including President and was Rotarian of the year in 1999. He has also been active in the local veterinary association, serving a term as President. Dr. Townsend and wife Sally have been married for thirty-nine years and are the very proud parents of three grown children and five beautiful grandchildren, they are also Dixie's humans. Dixie, a very sweet Golden Retriever, is also on staff a Bayside Hospital for Animals. Dr. Townsend enjoys outdoor life, fishing, hunting, and camping with his grandchildren.